Pannist Edison Holder with his first his first CD titled Mixed Bag. Holder’s next project will be a book on the “real history” of Desperadoes Steel Orchestra which he plans to publish by June. Holder was a frontline tenor pannist with the band. 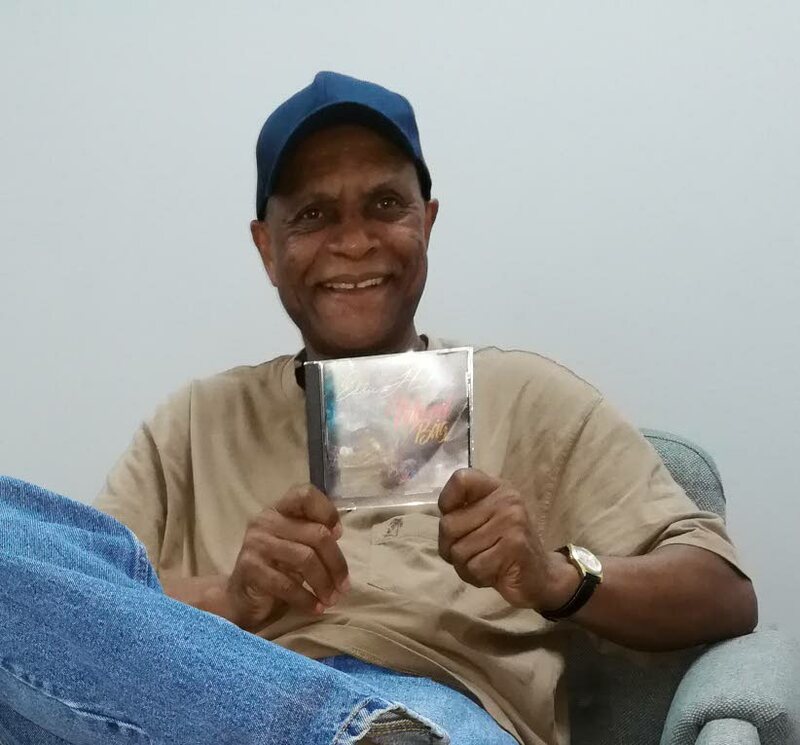 EDISON HOLDER, who at one time was a frontline tenor pannist with Desperadoes Steel Orchestra, released his fist ever music CD, Eddie Holder – Mixed Bag, in the United States by CD Baby. In TT for a recent vacation Holder dropped by the Newsday last month to give his story. He said the CD, released in August, has eight original songs but one is split in two so there are actually nine tracks on it, and it’s now on Spotify, Amazon, itunes and Apple Music. Holder said the names of almost all the songs on the CD came about based on his personal experiences. The second melody came when he was going to buy a six-pack of his favourite drink, and that’s how the name Stepping Out came about. The song has a nice, groovy vibe, while Reggae Strut is a song that will appeal to reggae lovers. Again while driving around in Baltimore, Holder said he just got the feel of reggae strut-like music. Describing Hilltop Groove, the first song on the CD, her said: “The feeling that I got with this song took me back to Laventille in the days of Desperadoes. I had images of Clive Bradley just dancing in front of the band because Bradley music was always a groove. It was never the hurry kind of music or upbeat thing. People who know Clive Bradley music will know that it’s always a nice, cool groove, regardless of who or whichever band plays it.” And indeed, there is that distinguished "Despers" sound that begins with a pan being tuned, before he gets fully into the song. Holder said the only one of the songs he really tried to compose was Outta The Blues. But because it didn’t come out more jazzy than a blues song, he gave the cool, jazzy number its name. The track Child’s Play is a dedication to “Boomie” Caruth, the person who Holder said “actually started me off in music, playing tin cans, so that is how I got the name for that song, because it took be back to my childhood. It has a childish kind of feel to it." The title song of the CD, was obvious to Holder since he said it was a mixed bag of rhythms and patterns, “a potpourri of calypso, reggae and jazz flavours. So when all these melodies came to me I said to myself, 'what am I going to do with all this music?' I then met a good American musician friend, Earl Carter, who told me he had his own studio and invited me to come to it and record it. “He brought me into contact with good musicians and you will hear nice saxophone and piano.” Holder is responsible for pan/drum programming, Carter – guitars/keyboard/bass/horn arrangements, Kenneth Joseph and Lamonte Silver – drums, Eric Marner – tenor sax solo on track two, Roger Greenidge – pan solo (fourth track), Elliot Jefferson – piano solo (seventh track). The CD was done over a three-year period as work could only have been done on weekends in the fall and winter months. Holder is in the final stages of putting together the chapter of 2000-2009, then the period 2010 to the present. He has over 200 pages already done for the manuscript, and included in there are profiles of Rudolph “Charlo” Charles, Greenidge, Bradley, Beverly Griffith, Pat Bishop, basically people who he said made a difference in the music of the band for Panorama, and pan music festivals. Holder has been interviewing various elders of Desperadoes, past captains and arrangers, to cover the history of the band over the decades. Reply to "Holder releases first CD"